The Botnia pulp mill will cost a total of US$1.2 billion. It will be Uruguay’s largest single foreign direct investment. How can a private company afford to take the risk of being the first to build such a large scale mill in Uruguay? The answer is simple. It doesn’t. The risks are covered by a series of multilateral banks, an ECA and a range of subsidies from the government of Uruguay, backed by the World Bank. 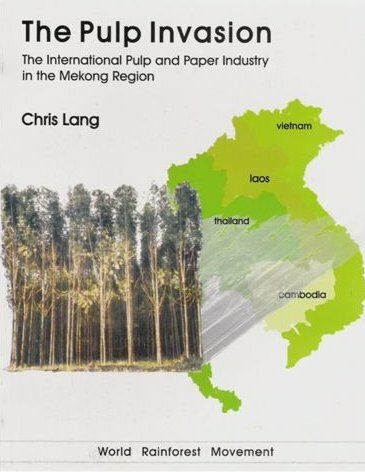 CIFOR added that “Subsidies create economic distortions and make plantations viable in situations where other land uses might make better economic and environmental sense.” Botnia’s pulp mill and the associated industrial tree plantations in Uruguay demonstrate the argument well. Much of the controversy about the Botnia pulp mill has focussed on the pollution from the mill. I’m going to talk about another impact of the project, that of the industrial tree plantations on rural communities which are to supply raw material to the pulp mill. First I’ll look at the financing. Then at the subsidies. And then at the impacts of all this generosity on rural communities in Uruguay. Sixty per cent of the financing is to come from capital invested by Botnia and its shareholders and the remainder is to come from external loans. US$7 million from Finnfund to Botnia’s plantation subsidiary Forestal Oriental. Founded in 1988, MIGA is also a member of the World Bank Group. It shares the World Bank Group’s mission (see IFC, above). In April 2007, the Nordic Investment Bank signed an agreement with the government of Uruguay to allow NIB to grant a loan to Botnia for its pulp mill. The agreement includes tax exemption to NIB and its debtors in Uruguay. It also provides legal and administrative immunity for representatives of NIB. In March 2007, Finnvera and Botnia signed a Buyer Credit Guarantee agreement of US$230 million. The guarantee is security for a 10-year credit issued to Botnia – the beneficiaries are the commercial banks that finance the export credit. The export credit is used to buy equipment from Andritz Oy. Finnfund describes itself as “a Finnish development finance company that provides long-term risk capital for private projects in developing countries.” Its majority shareholder is the Finnish state (79.9% directly and 20% through Finnvera). The remaining 0.1% is owned by the Confederation of Finnish Industries. In 2004, Finnfund gave a loan of US$7 million to Forestal Oriental (FOSA), a plantation company whose majority shareholders are Botnia and UPM. Finnfund became a shareholder in Forestal Oriental in 1993 – Finnfund has now sold its shares in FOSA. In addition, two private banks, Nordea and Calyon are involved in financing the Botnia project. Nordea Bank is the mandated lead arranger for the project – which means that it is organising syndicated loans from a series of private banks. Nordea is a private bank – the largest financial group in the Nordic countries. Calyon is the corporate and investment banking arm of the French Crédit Agricole Group. The crucial role of the IFC in assessing this project can be seen from an article in the Financial Times quoting a source at Calyon as saying that Calyon would pull out of the project if the IFC’s EIA proved to be negative. The Uruguayan government has provided a series of generous subsidies to Botnia. The pulp mill is constructed in a specially created tax free zone (tax exempt status has been negotiated for 25 years). Before the project started, the Uruguayan Government signed an agreement with the Government of Finland: “Agreement with the Government of Finland regarding the promotion and protection of investment”. In effect this is an agreement with Botnia. Under the terms of the agreement, Botnia is assured of the constant support of the Uruguayan government. The agreement even forces the government to pay compensation to Botnia for any losses, caused by, among other things, riots. But to get a true picture of the subsidies, we need to go back as far as 1951, when a joint FAO-World Bank mission made a series of recommendations for the development of forestry in Uruguay, including the promotion of suitable species for the timber industry. In 1985, the Japanese International Cooperation Agency funded a study of the feasibility of building a chemical pulp mill in Uruguay. JICA published a “Master plan study for the establishment of tree plantations and use of planted wood [sic] in the Oriental Republic of Uruguay”, which promoted the establishment of pine and eucalyptus plantations. The Uruguayan National Forestry Plan of 1988 is based on this study. By 2000, the Uruguayan state had allocated US$69.4 million in direct subsidies to the plantations sector. It had given away tax revenue of US$55.8 million. Soft loans amounted to about US$55 million. Meanwhile investments in infrastructure cost US$234.1 million. In total Uruguay subsidised the industry to the tune of US$414.3 million. Botnia and its subsidiaries in Uruguay now own just over 160,000 hectares of which it plans to plant 98,000 hectares with monoculture eucalyptus plantations. After a long period of time and several lengthy studies, IFC has approved the project. The plantations are certified by FSC – the best forestry certification system in the world. Botnia estimates it will create 2,500 direct and 3,500 indirect jobs. All the boxes are ticked, it would appear. So what am I doing here? Even when its assessors talked to local people SGS avoided dealing with what they told them. One villager told SGS that “the eucalyptus plantations consume a lot of water that in the long term can affect neighbouring populations.” SGS’s response was to explain that “The area is subject to prolonged droughts affecting the water table,” and that Forestal Oriental is carrying out a study into the impacts of plantations on water. 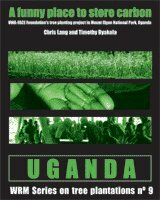 In April 2006, World Rainforest Movement published a study written by Ricardo Carrere. The study is based on a visit to the plantation areas and interviews with the people living there. A farmer in Guichón whose land is now surrounded by plantations owned by FOSA, complained that as a result of the plantations the Boyado stream, which runs though his farm, has completely dried up. One of the problems associated with the plantations in Uruguay is an increase in wild boars, foxes and venomous snakes. For sheep farmers this is a serious problem. The snakes have also killed pigs, calves, cows and even horses. WRM spoke to two ex-workers of FOSA who had developed allergic skin reactions to the chemicals they were employed to spray on the plantations. A current worker said that FOSA gave workers protective equipment, but most workers didn’t use it because it was uncomfortable. “With this heat, you try working with gloves on!” he said. The WRM report notes that FOSA is among the most highly regarded employers in the plantation sector in Uruguay. Several people pointed out that working conditions had improved because the Ministry of Labour was monitoring compliance with labour legislation much more closely under the new government that came into power in March 2005. They commented that since 2005 workers could form unions whereas “before they weren’t allowed to form unions”. FSC responded to WRM’s report not by investigating these problems, but by asking for a response from the certifying organisation, SGS. Under the FSC system, SGS is paid by the company it is certifying, in this case Forestal Oriental. Clearly it is not in SGS’s interest to delve too deeply into any of these issues. SGS’s response is not available to the public, but it was apparently enough to reassure FSC. “FSC guarantees peace of mind to consumers” was the headline of FSC’s press release. While this may be enough for consumers, it is little consolation to the people living near the plantations in Uruguay. The chairman of the town council of Guichón reflects the local perception of the way FOSA and other plantation companies address environmental problems. “To get this famous certification, the companies leave a pond and three ducks and then claim that they’re protecting the environment,” he said. The millions of dollars of “aid” and subsidies are benefiting a series of Finnish companies: Botnia, Andritz Oy, Jaakko Poyry and Kemira. The pulp produced at the mill will be exported, along with the profits. The impacts of the industrial tree plantations, like the pollution from the pulp mill, are left in Uruguay. 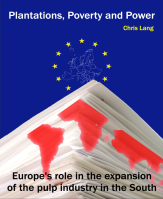 The title of this session is “What role can the EU play?” I have two suggestions. First we can reduce our consumption. Second we can work to get development funds out of industrial tree plantations and the pulp industry. “IFC’s Vision, Values, & Purpose”, IFC’s website. “Botnia’s project approved by the boards of IFC and MIGA”, Botnia’s website. “Project: Botnia South America S.A.”, Multilateral Investment Guarantee Agency website. “Mission and strategy” Nordic Investment Bank website. “Repercussions of Agreement Signed Between Uruguay and Nordic Investment Bank”, Broadcast on radiomudoreal.fm, 20 April 2007. “Finnvera guarantees an export credit for Botnia’s pulp mill project in Uruguay”, Finnvera press release, 12 March 2007. “Finnfund in brief”, Finnfund website. Tarja Myllymäki, Director, Business Development, Finnish Fund for Industrial Cooperation Ltd. (FINNFUND), email to Chris Lang, 15 May 2007. “‘With or without IFC support’, Botnia´s mill goes ahead”, Mercopress, 14 June 2006. “Uruguay: Either with the people or with pulp mills and tree plantations”, World Rainforest Movement, Bulletin 83, June 2004. 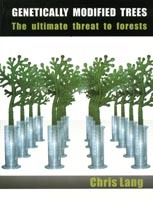 “Uruguay: The absurd injustice of promoting tree plantations”, World Rainforest Movement, Bulletin 68, March 2003. Marko Janhunen, Vice President, Communications & Public Relations Project, Oy Metsä-Botnia Ab, email to Chris Lang, 15 May 2007. 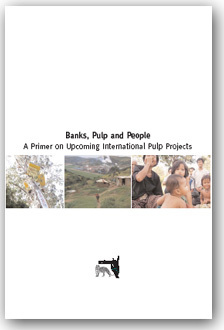 Company presentation: “Botnia’s Fray Bentos pulp mill project”, May 2007. This doesn’t mean that FSC is perfect – far from it – just that it’s better than the other forest certification systems. See fsc-watch.org for some of the problems with FSC (I’m one of the people who runs the fsc-watch.org website). “Annex B: Plantations”, International Finance Corporation Cumulative Impact Study, prepared by Ecometrix Incoporated, September 2006. 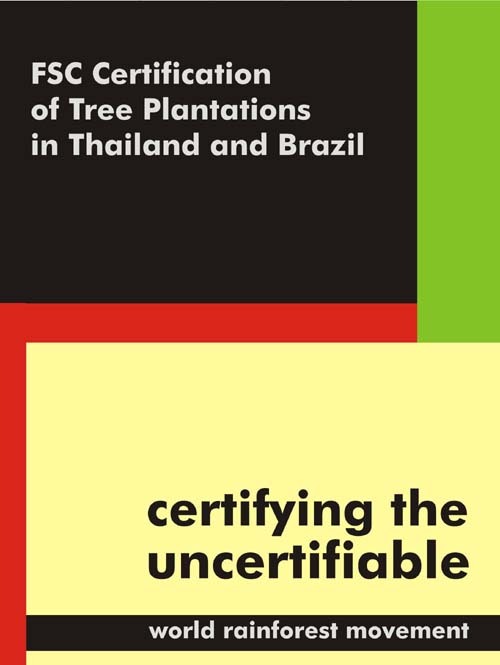 Ricardo Carrere (2006) “GREENWASH: Critical analysis of FSC certification of industrial tree monocultures in Uruguay”, World Rainforest Movement, April 2006. In the “Plantations Annex” IFC’s consultants point out that FOSA knows that its fast growing tree plantations have an impact on stream flows. In 2000, it hired a South African consulting firm, CSIR Division of Water in South Africa, which found that on FOSA’s eucalyptus plantations resulting in reduced stream flows by an average of around 25%. Nevertheless, the study concluded that as long as the plantations did not cover too large an area in a given watershed the impact should not be a problem. Whether CSIR spoke to any local people about the problems isn’t documented in IFC’s Plantations Annex. IFC’s consultants make no mention of any discussions with local people. Fantastic report! It was extremely useful to me when preparing a presentation at Salford University, United Kingdom about this problematic situation. Thank you very much! Keep it up!